I believe that a radiant life, full of joy and vitality is a life of balance. Balance is the key to longevity and health. NUTRITION to nourish the life force. How we digest food is how we digest life. It’s not only about what we are eating, but how we are taking nourishment into our bodies. HERBAL MEDICINE to harmonize imbalance. Traditional Chinese herbs, Ayurvedic herbs, and Western Herbs are potent tools that can help to recalibrate deep and chronic dis-ease. ACUPUNCTURE to release physical and emotional trauma. Acupuncture is a system of medicine that awakens the self sensory system and supporting your own innate capacity to self heal through feeling. YOGA THERAPY to connect the body, mind, and spirit. Yoga is an ancient movement practice that is versatile and adaptogenic. No matter what your physical condition, yoga is a profound body therapy. MEDITATION to awaken intuition. On a primal and subconscious level, we all know what is healthy for us. Meditation is a process that helps to train the mind as a tool of awareness that helps us focus on our own best intentions. Aliksandra Keller, L.Ac. 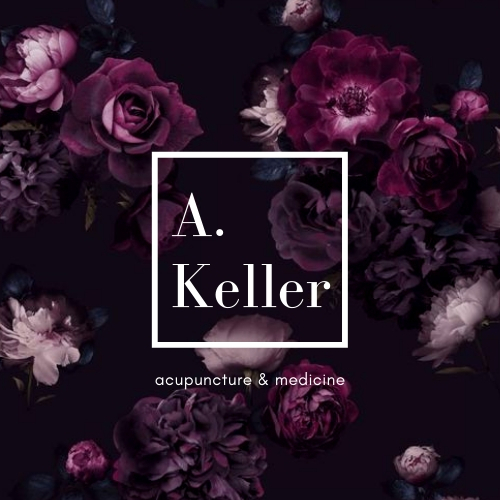 is an Eastern Medicine Physician, Licensed Acupuncturist, and Kundalini Yoga Therapist working and teaching in the wellness field for over a decade… learn more.